Striving to improve the overall health of Cayuga County residents by developing and sponsoring prevention and health promotion programs, and addressing access and service needs of the community. Cayuga Community Health Network sought the professional design and writing services of Crème della Crème Copywriting & Communication to create a unique and informational rack card that featured its current programs. 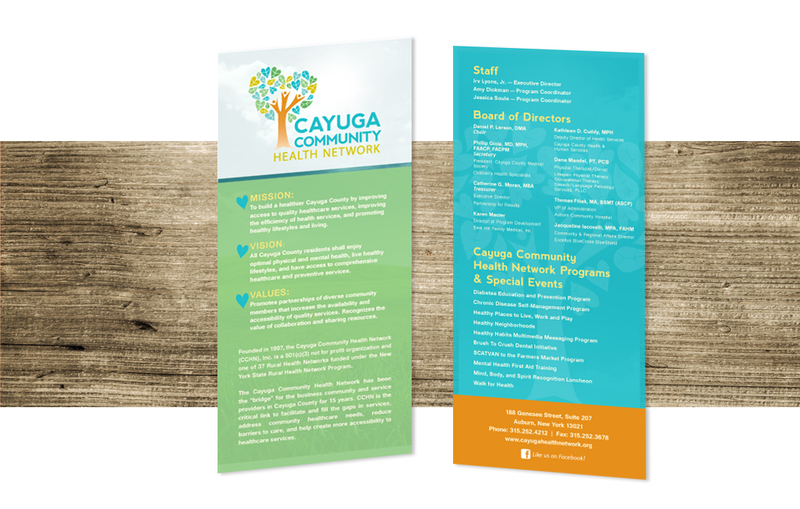 Using the provided material, Crème della Crème Copywriting & Communication wrote an educational rack card that highlighted Cayuga County Community Health Network’s numerous programs and initiatives.